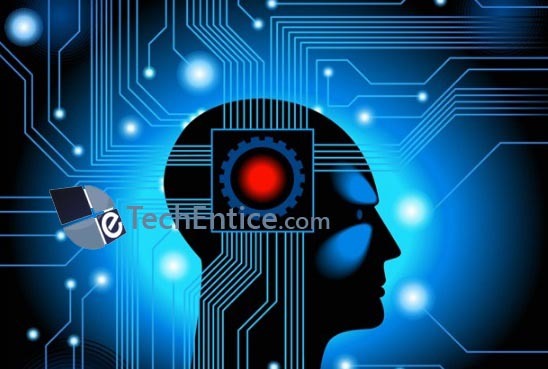 Technology is fast pacing and now artificial intelligence is the latest technology that is being boosted by giants like Google, Microsoft, Apple and so on. We have witnessed smart technology, robots, heard of smart home and even smart toilets. But now even this technology should be cultivated in depth. In this article I will throw a faint light on Deep Learning. Deep learning is an amazing thing to know but definitely a complicated technology. But I chose to explain you briefly and simply because the main aim of our website is to entice the common mass to technology. Kurzweil did not give a second thought. He was already impressed by the project Deep Learning that Google patronized. Besides he got assurance for access to Google Data and computational power. Now coming to Deep Learning which is now envisaged by Kurzweil and Google together. Deep Learning is a software that copies the activities which takes place in the neocortex in brain. Our brain has a part called neocortex which deals with variety of complex functions like hearing, sight understanding, conscious thought, communication, language understandability functions and it is the part which is undergoing evolution. The neocortex also participates in sleeping and is the place where thinking takes place. The arrays of neurons that are present in the neocortex perform wide variety of functions. The aim of Deep Learning is to study and mimic the activities and interpret them in real time data in terms of sound images and other data. How to build a Brain in deep learning? Deep Learning involves in making a “mind” which is way more difficult than a robot. The thinking capabilities of robots are restricted to the loaded instructions for performing a set of functions but Deep Learning will inculcate a human mind in computers. This means the computer has to be fed with enormous data, so that it learns the rules of the world. Programmers and coders will have to dedicate laboriously on making the software. In 1950s a similar concept known as “neural networks” was being developed which had a simplified form compared to deep learning. A program performs mapping function on the virtual neurons and assign certain values or weights so that a relation can be established between one another. These weights will determine how each simulated neuron responds and will be scaled with a mathematical output between 0 and 1. The technology suffered faults due to lack of mathematical advances and extraordinary computers. As said earlier that the data needed to stuffed is huge and so is the number of required processors. Hence the data is termed as Big Data. For training the different layers of virtual neurons an experiment underwent and it requires 16,000 computer processors. So we can imagine the enormous infrastructure Google built. The huge infrastructure will account for breathtaking innovations like these. Till now this technology has even implemented in smartphones but it surely it will set a landmark in near future.